The 10 Best Places for Bubble Tea in Arizona! Arizona is no stranger to warm weather and sunshine. When you need to cool off, visit one of the state’s abundant juice bars and tea houses for a cold sip of bubble tea. This Taiwanese tea drink comes with your choice of fruit, milk, and is topped with delicious tapioca balls. This sweet beverage is sure to keep you hydrated and taste great. 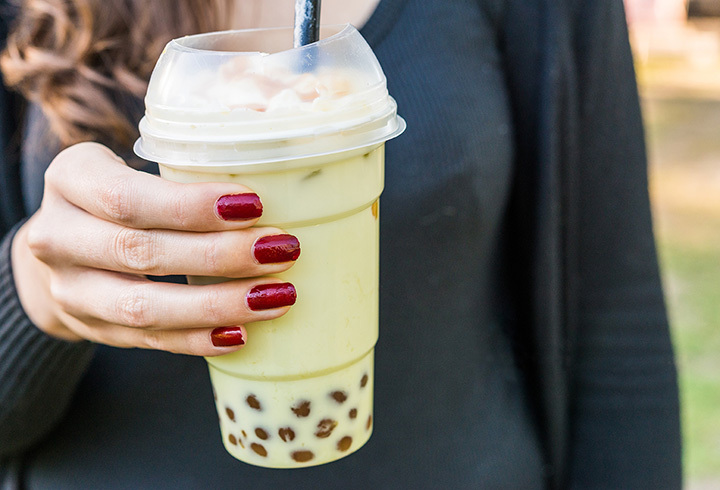 Here are the best places to get bubble tea in Arizona! There’s no denying the allure of the Boba Tea House. This Chandler bubble tea spot is housed in a trendy, neon-colored building in a busy Asian shopping plaza. Once you step inside, you’ll be greeted by fast service, a fun atmosphere, and tasty tea. Their soft and chewy boba balls come with a number of tea flavors and sizes. You can’t go wrong with any menu items, but the Thai Milk Tea with boba is a crowd favorite. This stellar Phoenix company sells a number of tasty beverages. You can sip on cold-brewed coffee, flavored ice teas, shaved ices, and smoothies in their lounge. Really, though, My Tea is all about the boba tea. They have over 30 different handcrafted tea flavors available each made with fresh ingredients. Looking to hang out? My Tea has board games and free Wi-Fi available in their lounge. Most bubble tea fans are familiar with two types of beverages: milk teas and fruit-flavored teas. Urban Boba Tea House takes it one step further. They offer hybrid fruit milk teas in addition to traditional bubble tea drinks. Urban Boba Tea is a tea house that is all about personal choice. You can order your favorite flavor tea, choose your toppings, and even decide your sweetness level. They also have a loyalty program where frequent customers can get discounts on their favorite drinks. Boba Tea Company stands out above the rest. You can enjoy mouthwatering flavors like love potion, geisha, purple haze, and funky monkey. You can also choose between a fruity blend, creamy blend, and a fizz on ice—which is a carbonated tea that’s topped with whipped cream. You can’t get much more authentic than Tea Swirl. Taiwanese owners founded this Tempe tea store. The owners combine both Asian and American flavors to bring out the best of both worlds. You can get your bubble tea with Taiwanese ingredients, or local ingredients (like soda) from Arizona. You can also order your bubble tea with different levels of ice and sweetness. Tea Swirl is a favorite of ASU students, and is located right next to campus. Do you like your tea hot or iced? It doesn’t matter at the Blend Teahouse. This Tempe favorite sells milk tea, chai lattes, and black, green, and oolong tea both hot and cold. They also have a variety of unique bubble tea flavors, including honeydew, taro, coconut, almond, and even avocado. Boba Bliss is a fitting name. This Gilbert tea spot has a number of boba-licious flavors to go with their tasty snacks. Boba Bills is also known for having fresh boba pearls that strike the right balance between being soft and chewy. Not sure what to order? Grab some free samples to find the right flavor for you. One tip: try the golden milk tea with boba. Valley residents might not be aware of Bubble Cups. This bubble tea spot is located in Glendale, about 30 minutes north west of Phoenix. Take one sip of their boba tea and you’ll soon realize that it’s worth the trek. This small hangout sells smoothies, Vietnamese iced coffees, and macaroons to go with their tasty boba teas. Try their classic house special for a truly refreshing drink. It comes with taro milk tea, grass jelly, milk pudding and boba. Treat yourself at Milk Run. This Phoenix business specializes in making handcrafted boba drinks and fresh in-house ice cream. Milk Run’s many tea flavors are made with fresh and organic fruits and loose leaf. You won’t want to miss their Asian-inspired ice cream flavors covering everything from Thai tea to Vietnamese coffee. You can also enjoy their Milk Tea floats, a combination of milk teas and ice cream. It’s hard to miss the Street. This Mesa café is covered in vibrant graffiti and local artwork. This casual hangout makes milk teas and taro smoothies with a variety of herbal flavors. Feeling hungry? The Street has a wide selection of affordable breakfast, lunch and dinner options available. You won’t want to miss their Diamond Ice. It’s a shaved ice dessert topped with fruit, milk, and red bean.